Home / Will collecting seeds for replanting be made a crime ? The Department of Agriculture (DOA) appears to be using the period of mourning to quietly amend Thailand’s Plant Variety Protection (PVP) Act 1999 to align with the UPOV Convention of 1991. The amendments would give further opportunities to giant seed companies to monopolize ownership of plant varieties, while punishing ordinary farmers and small-scale plant breeders. This is detrimental to biodiversity and food security in Thailand. Yet, resistance and expression of public opinion are strongly restricted. For decades, big transnational corporations and giant seed companies have put great pressures on Thailand to accept UPOV 1991. The Thai-US FTA, TPP, ASEAN-Europe FTA have been the main mechanisms to promote UPOV 1991. But they have not succeeded. During this administration, led by Gen. Prayut Chan-o-cha, the DOA has attempted to revive the amendments. However, its attempt has always been strongly opposed by academics, research institutes, TDRI, and also former Minister of Public Health. The attempts to amend the PVP Act and laws have been on hiatus to the point that many believe the amendments would not happen during this administration. However, without prior notice or a public statement by the Minister of Agriculture and Cooperatives or the Director-General of the DOA, the DOA released a “Draft for the New PVP Act B.E. ...” and stated on its website that it would abolish the PVP Act 1999. The DOA has allowed the public to voice their opinions until October 20, 2017 only. This can be seen as an attempt to rush the process while the country is paying respects to the late king. 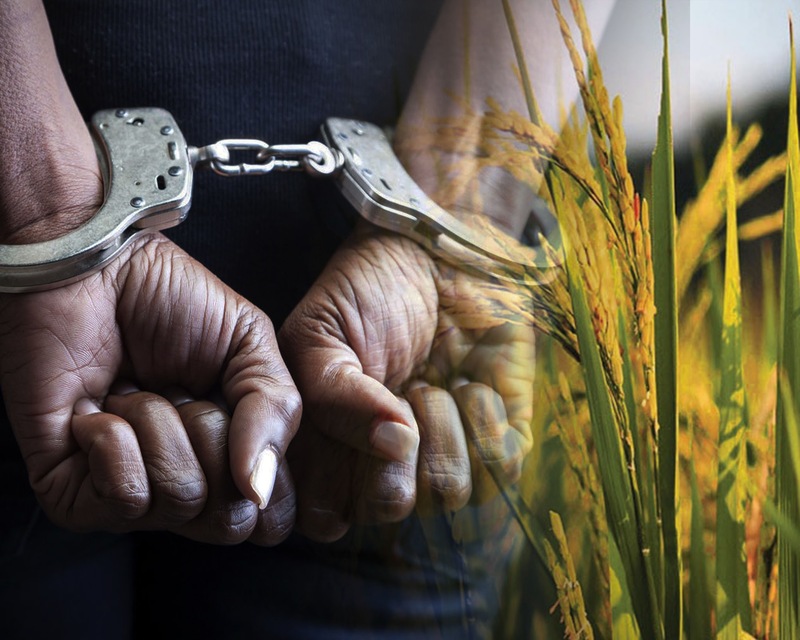 The DOAs action at this time makes it difficult for the public to contest the legal amendment, even though the new law would criminalize generational practices of re-using and sharing seeds and allows bio-piracy to seize local genetic resources. The DOA website clearly states that the revised law would make it consistent with UPOV 1991” and accept “resolutions within the FTAs for Thailand to sign up to the UPOV Convention 1991.” The DOA’s action appears to be taking advantage of the people because at the moment the public cannot contest or mobilize. At the same time, it is pushing Thailand to conform to the UPOV 1991 indirectly without entering the Cabinet as it should when the country has to ratify an international agreement according to the Constitution. - The new law would abolish peasants’ rights to save seeds and regrow them by removing Article 33 (4) of the former law. If the law passed, peasants would be punished or imprisoned for regenerating the plants from saved seed. - The new law, in accordance to UPOV 1991, would extend the duration of the patent on new varieties from 12-17 years to 20-25 years (except tree plants). - The new law would increase support for biopiracy, by not requiring the companies to identify the source of genetic materials when they want to acquire the patents. It also redefines local breeds, which allows companies not to share benefits when they use local breeds. The companies only have to take local breeds and take it “through genetic improving process” before being allowed to use them. - The new law would take out the requirement to go through a process of checking biological safety for GMOs before these new varieties are patented. - The new law would not have the conditions for the state to intervene or suspend patent rights if the price becomes too costly for farmers and may threaten food security. - Under the new law, the committee, consisting of honorary members such as farmers, academics, non-profit organizations or private sector, would be selected, not elected as before. In conclusion, the new draft would allow giant corporations to monopolize rights over plant varieties, punishing peasants and farmers who keep and protect seeds—the fundamental basis to sustain biodiversity. In the end, this would be detrimental to our food security. Since BIOTHAI learned about the proposed amendment of PVP Act 1999 on March 16, 2016, we have continuously issued opposing letters and statements to explain our reasons to the DOA. Many academics have also shown their concerns and contested the new draft. However, none of these public comments have been considered or reviewed by the DOA as the new draft remains similar to UPOV 1991. The opening for public comment on the DOA’s website is only a facade aimed to justify the new law to gain the approval of the government and the National Legislative Assembly (NLA). We need to expose this new draft as widely as possible to raise awareness among farmers and the public. We need to halt this swift legislative process and allow the public to have more time to discuss and more space to voice their opinions and opposition.